Volunteering is a great opportunity to meet with artists, like minded people and to get into the creative and energetic atmosphere of SWELL! Please make time to attend one of the briefing sessions. These sessions are designed to inform you about working with SWELL and offer insights into the artists exhibiting, artistic programs plus event and safety information. It's also a great opportunity to ask questions. Provide assistance at the designated Hubs and marquee at Swell greeting visitors, offering information about What’s On and assisting with program sales. This role also includes collecting surveys & voting forms, water and sunscreen runs, general help and putting on a welcome smile. Requires hard yakka and strength to keep the site looking pristine and presentable. Will involve shoveling and maintenance on sculpture sites and restorative work on signs, tents, flags and banners. Provide assistance to Artists during and after morning and afternoon workshop sessions with preparation of workshop space, materials and clean-up at the conclusion. Volunteers in this category are required to hold a valid Blue Card. Provide a presence to encourage positive interaction with the sculpture and to assist monitoring the site in general during peak periods. Assist with evening activities such as twilight walks, video projection, marquee activities and lighting. While we will always try to allocate your preferred volunteer role there may be instances when we may need you to cover other areas such as the general exhibition area. We ask for your understanding in this instance. Have you volunteered at SWELL previously? SWELL Sculpture Festival is open to the public from Friday 13th September - Sunday 22nd September. We also require assistance on the days before and after the event. Indicate your availability by selecting your day and time from the drop down box. In order to receive the Volunteer Kit including the t-shirt & vouchers you will need to volunteer for at least 2 - 3 shifts and we ask that you arrive 10 minutes before your shift. How many days would you like to volunteer? Unisex is suitable for men and women and is a generous style to fit most body types. SWELL Sculpture Festival is committed to providing a healthy, safe and secure environment to deliver an exhibition of sculpture and public programming. 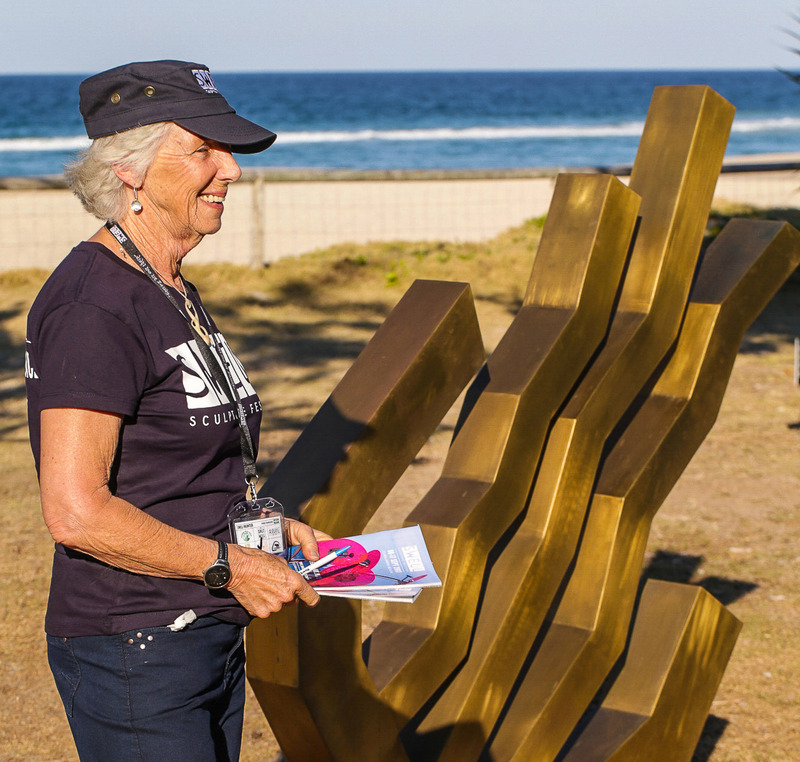 All Volunteers must complete an online safety induction that outlines key points to ensure that volunteers can keep themselves and others healthy, safe and secure while working within SWELL Sculpture Festival. Following the briefing nights, you will be sent a link to the online safety induction for completion. If you need assistance or have an enquiry in the meantime please contact volunteer@swellsculpture.com.au or phone the office on 07 5525 0503.